It’s 11 in the morning and the road leading to sector 17 in Chandigarh towards the Home Guards building is quiet, almost deserted. But as one enters the building, it is bustling with people. A big board in red and blue with ‘Women Police Station’ written on it greets you. The one-of-its-kind women police station in Chandigarh was inaugurated in August 2015. The male and female officials at the station only deal with complaints relating to marital disputes. Inside the station, there is a big waiting room and reception area. A narrow alley leads to the offices of the SHO and DSP, both women. On the same floor, two rooms are assigned for counselling sessions. There are four or five small cabins in each room. A torn poster listing rules for a happy marriage is pasted on the cabin walls. A team of four officers, designated to each cabin, hear cases and counsel people daily. Seva Singh, a sub-inspector, is sitting alone in his cabin waiting for his teammates. “I have been working in this field for 34 years now. I have travelled to almost all the states,” he boasts. Singh has been working in the Chandigarh women police station since its inception. Every day, he reaches the office sharp at 9 in the morning and works till 6 in the evening. “I take four to five cases every day. We try to save a marriage by counselling,” he says. After an hour, three people enter Singh’s cabin. They are not his colleagues but complainants. A young woman in her early 20s is accompanied by her parents. The trio is not visiting the police station for the first time; their case has been going on for over two to three months. The woman wants a divorce from her husband after getting into a discord with her in-laws. After listening to her grievance, Singh says in a low voice, “Divorce is a long and tedious process. It is better if the matter is solved here itself.” An advice not new to the woman. On most of her earlier visits she had been advised to comprise with her husband for the sake of their child. As if stressing every word, Singh then adds, “Ab bachche ko baap ka naam to chahiye hi hota hai (A child needs a father’s name to live in this society).” The woman gives a blank stare to her father, who responds in silence. Singh’s choice of words bear a hint of the patriarchal mindset rooted deep within our society. After an hour of counselling, Singh sends them back, advising the parents to talk to their daughter’s in-laws and settle the matter. As the day progresses, more and more people start thronging the cabins with their complaints. “Each case takes almost half a day and it stretches over months. There is less staff here, so work pressure is always high,” Singh says with a weary sigh. Agrees Manju, a constable. “These people don’t have any understanding. How can a marriage work without it?” she asks after counselling a man whose case has been going on for seven months. The station has more pressing issues than fixing broken marriages. 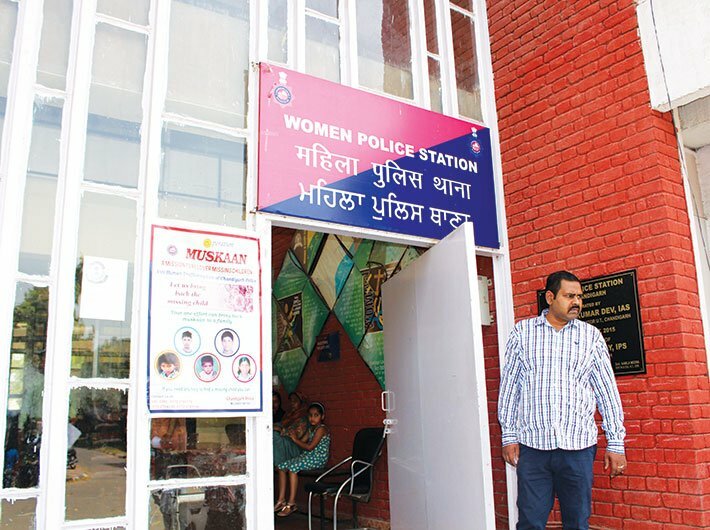 The first women police station in Chandigarh was established with the aim of making women feel safe and secure, but the very station fails to provide comfort and care to the women ‘manning’ it. Women constables at the station are upset with the lack of facilities for them. “There is just one common toilet which is used by all. It is always dirty and unhygienic. During periods, things get more difficult for us,” says Manju. She also feels that more female officers are required at the station. “I think female officers can offer counselling better than the male constables,” she says. But Keher Singh thinks a woman is not suited to handle the aggression of the complainants. “Ladies ka output itna nahi ho pata (Ladies are not that efficient),” he says. 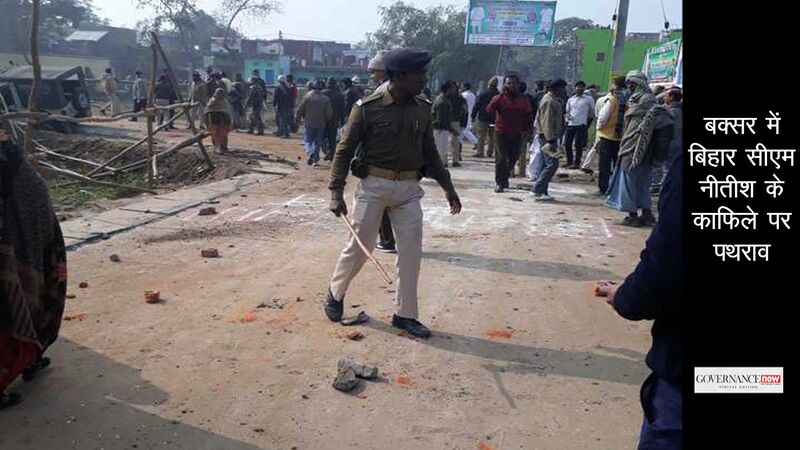 “People come here with a lot of aggression. I feel male constables are able to handle them better with firmness. I understand that women are better at counselling, but males can handle the aggression better,” he adds. Another member of Seva Singh’s team, Jaswant Kaur, enters the cabin after spending a long day at court. After a quick lunch, she gets down to writing the statement of a complainant. She writes the three-page long narration by hand as there are no computers. It’s 3 in the afternoon and the energy in the room is low. “The work is very stressful here. People fight and yell at each other and the whole room echoes with that noise. 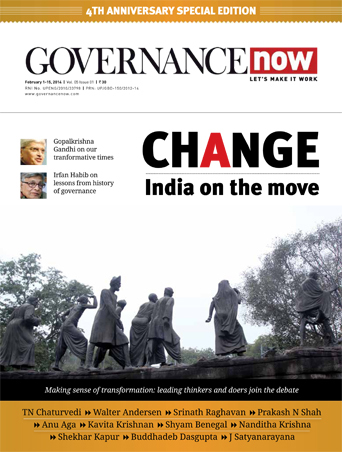 Sometimes the noise is so loud that we are unable to hear our complainants,” says Seva Singh. Admitting to the work pressure, Anjitha Chepyala, DSP of the station, says, “Emotions run high among the complainants. We have to control them. There is very little trust on police officers. They come with a pre-set mindset. So it becomes difficult to handle them. This makes our job really exhaustive. “Sometimes, people expect us to solve their case in one day. Women want their husband to be arrested. But we can’t function that way. We have to listen to their problems seriously and guide them. It is like playing a role of a grandmother in a family,” she adds. Moreover, officials often struggle with their monotonous routine at the station. “We have to keep our officers motivated. In other police stations, there is a variety of work to do. But here, there is only one kind of work, which makes one feel bored. It gets difficult to go ahead with work sometimes,” says Chepyala. But the good part, she feels, is that the officers here tend to appreciate their lives more after spending time and listening to people’s agonies.